'What Is Love?' Air Jordan 13s releasing on Nov. 11. 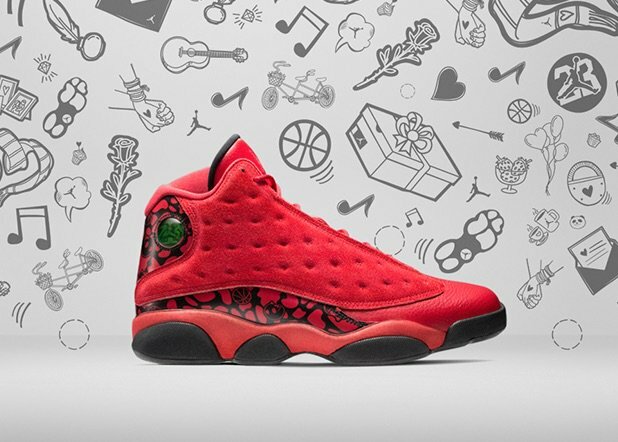 Over the years, the theme of love has become a staple in the Jordan Brand's story. Once again, the question "What Is Love?" 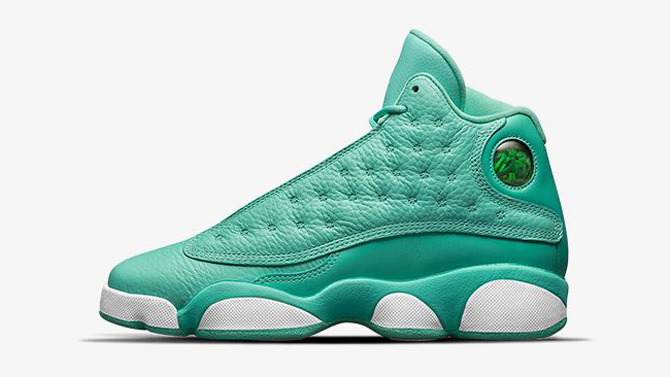 is asked as a new collection of Air Jordan 13s surfaces. Dubbed "What Is Love?" 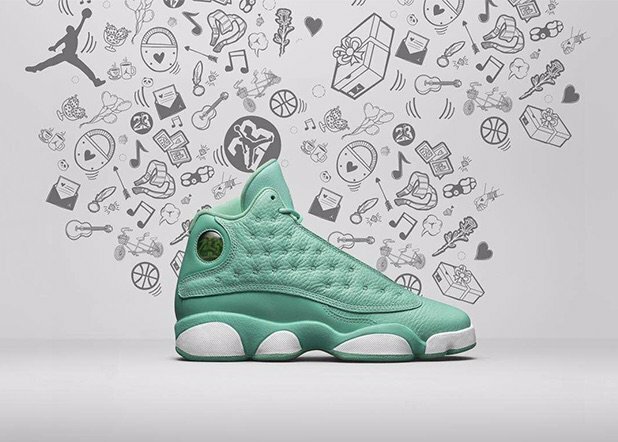 the pack consists of a new red-based colorway of the Jordan 13 for men, as well as a minty "Tiffany" make-up for girls. Black leather on the men's pair rubs off to reveal a "Panda Camo" graphic. The launch coincides with the Chinese observation of Singles' Day — yes, a day to celebrate being single. 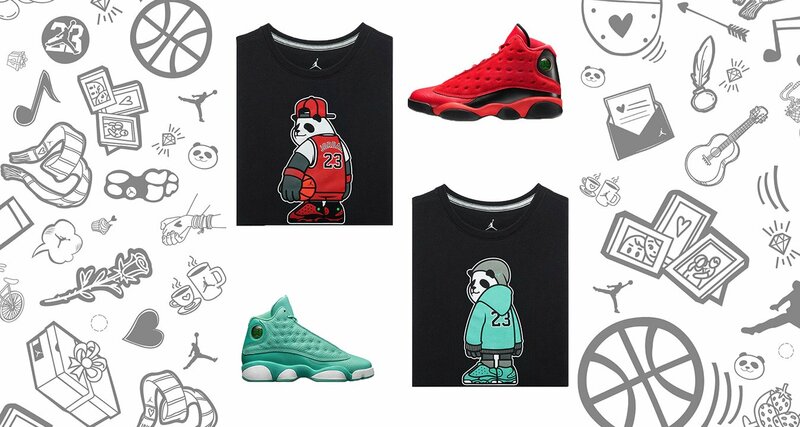 According to J23app, both pairs will release in Asia on Nov. 11. No word on stateside availability at the moment, so hit the follow button and keep it locked for updates. UPDATE 11/3: Official imagery on the "What Is Love?" 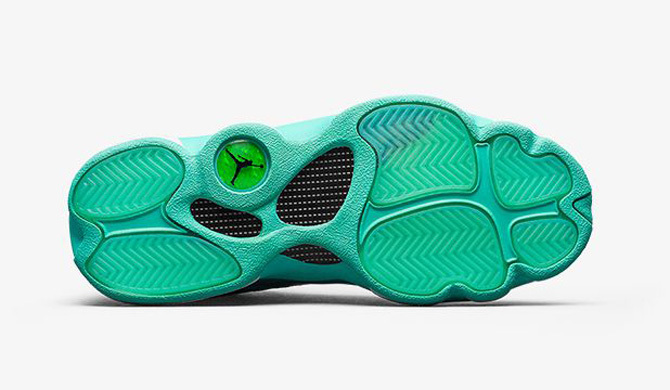 pack of Air Jordan 13s, which are still looking like Asia exclusives. 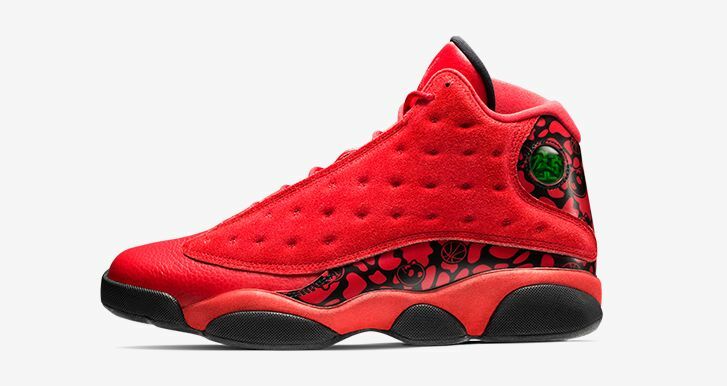 Air Jordan 13 Retro "Singles' Day"
Air Jordan 13 Retro GG "Singles' Day"